Rory McIlroy may have only been crowned the FedEx Cup champ two weeks ago but the new PGA Tour season is already upon us. Ahead of the new season, now is the perfect time to look back at the players that topped the key stat tables and the gear they used to get there. The two-time Ryder Cup player used a 9.5˚ TaylorMade M1 430 with a specially made Fujikura Pro Tour Spec 83X shaft to average 307.6 yards from the tee during the 2015/16 season. That was good enough to edge out Dustin Johnson who had averaged 306.7 yards for the year. Jason Day has just completed the best putting season ever recorded on the PGA Tour. The Australian topped the Strokes Gained Putting table, which measures how much better or worse a player performs on the greens compared with other golfers. Jason Day led the PGA TOUR in Strokes Gained: Putting. Day was gaining an average of 1.13 shots on the field every time he pegged it up and he did so using a TaylorMade Spider Limited prototype putter. It's absolutely no surprise to see the two-time major champ topping this list. Over the course of 80 rounds, Spieth and his trusty Scotty Cameron 009 Prototype averaged 27.82 putts per round to be the best on tour. His lowest number of putts for a round during last season? That would be a staggering 21. Barack Obama has been no stranger to the golf course during his time in office. He was snapped enjoying a round once again over the weekend and this time we got a peek at the driver he has in the bag. You'd fully expect the President of the United States to be using the latest and greatest golf gear. That's not the case, though, as he can be seen above using a Callaway Big Bertha driver from 2014. Bryson DeChambeau has experienced a meteoric rise in popularity since turning pro and now you can style it out just like him after Puma announced the release of its replica flat caps. The only question is, will you be wearing one? While Tiger Woods and Rory McIlroy may grab the headlines with their changes, other Nike staffers are continuing to experiment with new gear ahead of the 2017 season. First up we have Scotland's very own Scott Jamieson. We spotted him on the range last week at the Alfred Dunhill Links Championship with a Titleist 917 driver and fairway wood to test, as well as some Pro V1x golf balls. 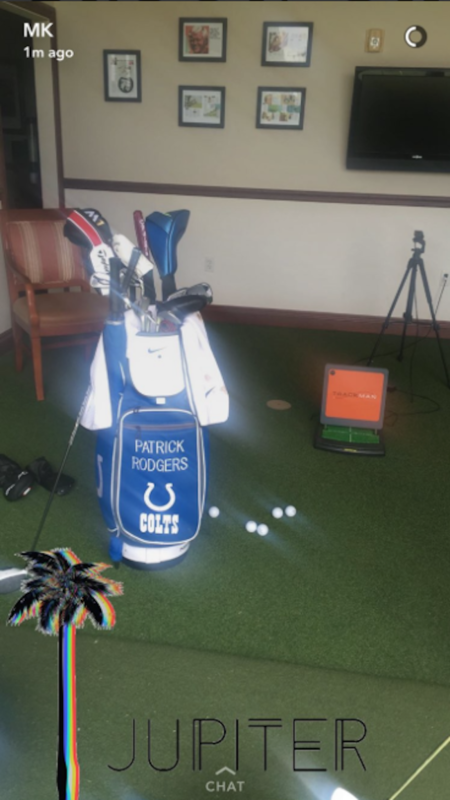 Across the pond, Nike staffer Patrick Rodgers was also spotted with some new gear in the bag during a practice session. It included a TaylorMade M1 driver, Callaway Apex fairway wood, TaylorMade EF wedges and an Odyssey putter. Englishman Tyrrell Hatton claimed his first European Tour win at the Alfred Dunhill Links Championship over the weekend and he did so with a brand new putter in play. The 24-year-old said the new Ping Vault Series Oslo putter really helped him over the four days. "It worked really well," he said after his win. "I'm just so happy. "It's weird, you know, I felt a little bit uncomfortable over the ball at times but my putting this week really helped me out and that's been key to lifting the trophy this week." Just over a month ago, PGA Tour pro Kevin Na welcomed new daughter Sophia into the world. Now, thanks to Scotty Cameron, she has her very own pink commemorative putter. Great touch from all the guys at the Scotty Cameron studio.